Three years ago, a deadly earthquake crumbled cities and villages across Haiti, striking a devastating blow to a nation already struggling. Some 200,000+ people were killed, and a million more were left homeless. Much has been written about Haiti’s struggles since the earthquake, including the shortcomings of the effort to rebuild Haiti after the earthquake -about money that was misspent by NGOs, or promised by foreign governments and not delivered, and about the cholera outbreak caused by Nepali troops from the United Nations. In many respects this last year was even worse for Haiti than the year before: anti-government demonstrations, crime and kidnapping are on the rise and hurricanes Isaac and Sandy devastated the island. In the U.S. we didn’t hear much about Sandy and Isaac’s impact in Haiti, but it is estimated that in the southern part of Haiti, 70% of the agriculture was completely destroyed. As a result, food prices in Haiti have increased 40% in the last four months and food shortages are expected to affect up to 5 million people in Haiti in 2013. What does all this mean for the 70+ communities where Plant With Purpose works? They, too, have been deeply affected by these many tragedies, especially the recent hurricanes, and we have been raising emergency funds to help farmers recover from the storms. 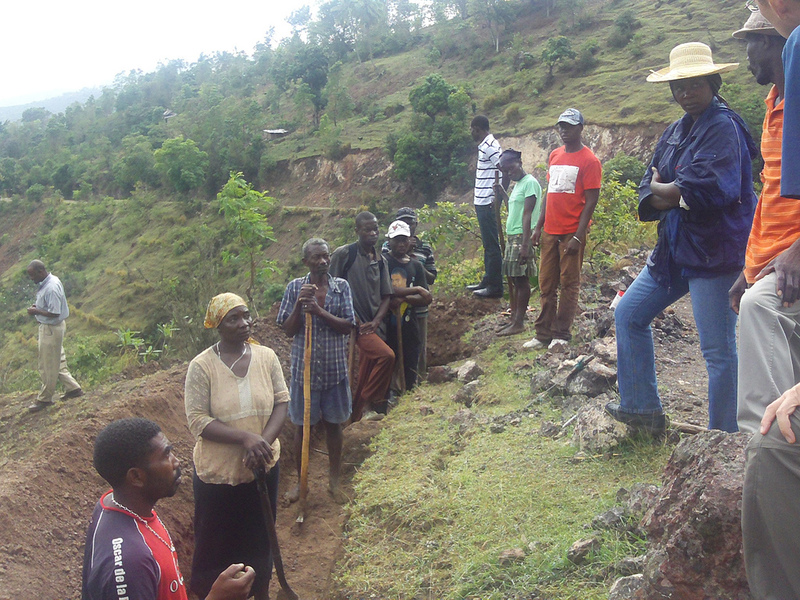 In general, there is a lot of work to do, and in many ways life is harder in rural Haiti than ever before. 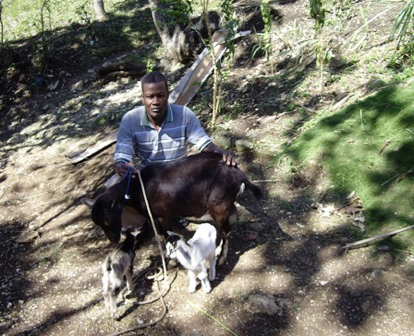 But we have also been deeply encouraged by impact our program is having in rural Haiti. 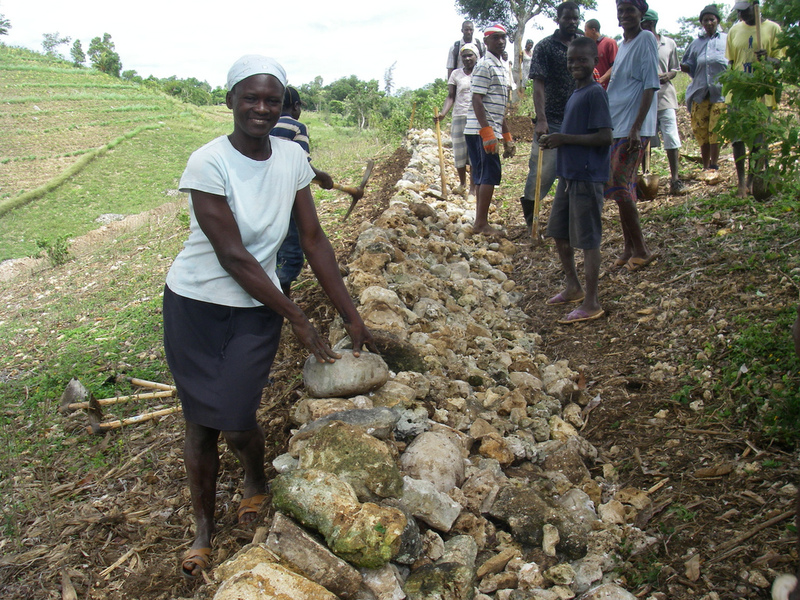 In the months after the earthquake, Plant With Purpose’s local Haiti staff was able to dramatically scale up the scope of their work with funds raised through earthquake relief. This included planting 450,000 additional trees and building 360 linear miles of rock walls to conserve soil on steep hillside farms. 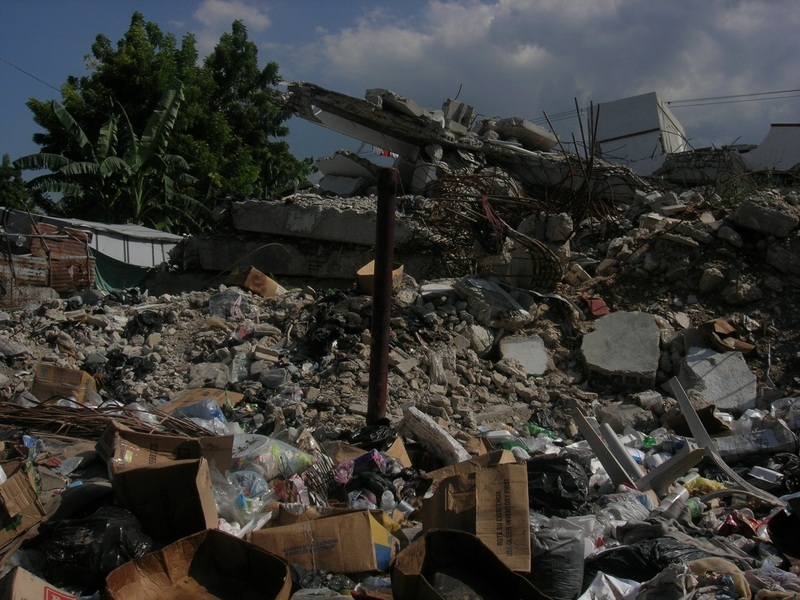 These projects not only provided jobs for Haitians after the quake, they also saved many lives by preventing flooding and landslides after hurricane Sandy. You can read the summary of our earthquake relief work here. 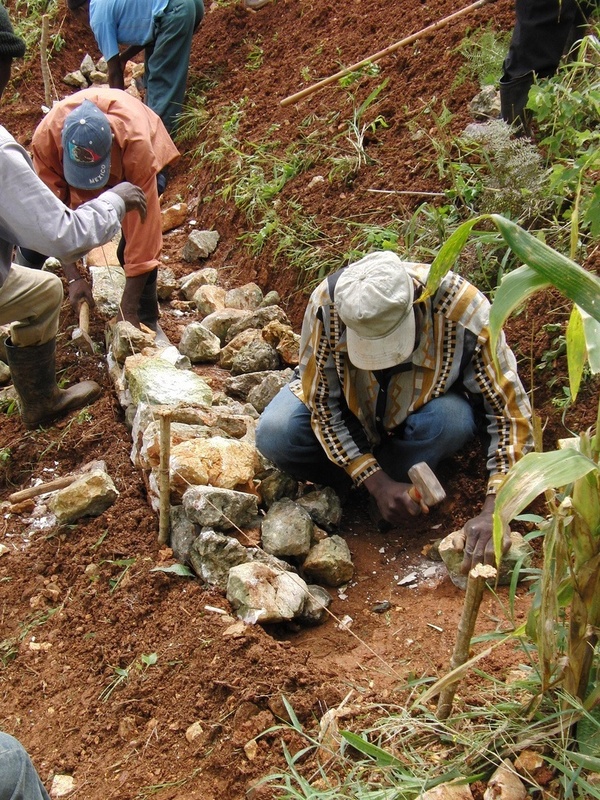 After the earthquake and in the three years since, Plant With Purpose local all-Haitian staff has performed with great professionalism and skill as they empower local farmers to improve their lives. We received more good news this last year, when we completed our triennial impact evaluation. The evaluations revealed in our program areas that water-borne illness was reduced by over 50% and cholera by over 60%. While the news focuses on the failures of governments, the UN and so on, its good to be reminded that there are many organizations there doing good work that focuses on empowering Haitians to transform their own communities. These include the schools and orphanages run by Haiti Partners and medical work of Partners in Health. In the coming year we are looking forward to dramatically increasing the scope of the village savings and loan program, which is provides a safe and secure mechanism for Haitians to save money and access small business loans. For those of you who have supported Plant With Purpose’s work in Haiti in recent years, please know how grateful we are for your partnership with us. Yes, there is a long way to go. But it is also true that, with God’s help, Plant with Purpose’s work is making a difference in the lives of thousands of Haitians struggling against long odds to improve their communities. For us at Plant With Purpose, Isaac is a reminder of the extreme vulnerability of the island to severe flooding and landslides, such as those that occurred in the fall of 2008. 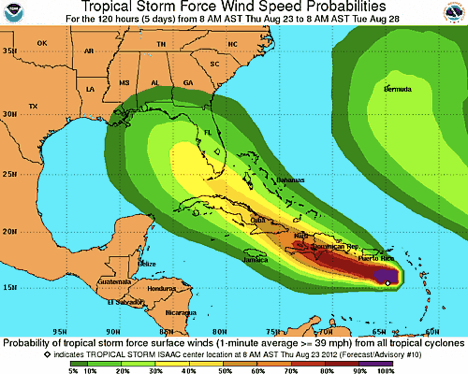 In that season, four deadly hurricanes and tropical storms struck Haiti in a three-week period, killing over 1,000 people and leaving 100,000 homeless. After being hit by “Fay, Ike, Gustav and Hanna,” families lost crops, homes, and thousands of animals—their food, shelter, and emergency savings. What we call a “natural disaster,” is sadly man-made, the result of Haitian farmers cutting wood to make the charcoal they sell in a desperate attempt to meet the needs of their families. These projects made a tremendous difference in the lives of people who had lost everything. The animals restore their economic safety net, and the beans give them hope for the future, as they were able to plant their land and become self-sufficient again. Farmers, who had lost hope in having sufficient seeds to plant, were able to make a new start. As Isaac threatens Hispaniola we are confident that this investment in the restoration of the land will save the lands and lives of many people in the mountains of Haiti.